2019 Marine Turbine Technologies Superbike. Picture credits - Marine Turbine Technologies. Submit more pictures. Representing the latest in engineering technology, the bike features carbon fiber fairings, a tubular aluminum frame containing the bike�s transmission fluids and reserve tank, a rear-mounted camera with LCD color display, SmartStart computerized ignition, and more. Engine details: Rolls Royce Allison, 250 series gas turbine. Optional 420-HP turbine engine. Frame type: Tubular aluminum alloy. Carbon fiber fairings. Comments: Rear-mounted camera with LCD color monitor, plus side mirrors. Also called MTT Superbike and MTT Turbine Superbike. Diesel and kerosene fuel. Ask questions Join the 19 Marine Turbine Technologies Superbike discussion group or the general Marine Turbine Technologies discussion group. Enter your e-mail to join the 2019 Marine Turbine Technologies Superbike forum and get notification of answers and new messages about this bike. You can unsubscribe with a single click. Bikez does not display, sell	or misuse e-mail addresses. Bikez.biz has an efficient motorcycle classifieds. Ads are free. Click here to sell a used 2019 Marine Turbine Technologies Superbike or advertise any other MC for sale. 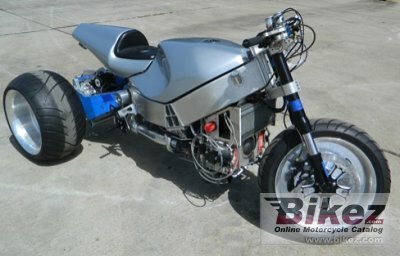 You can list all 2019 Marine Turbine Technologies Superbike available and also sign up for e-mail notification when such mopeds are advertised in the future. Bikez has a high number of users looking for used bikes. Before you buy this bike, you should view the list of related motorbikes Compare technical specs. Look at photos. And check out the rating of the moped's engine performance, repair costs, etc.